In recent years, Colombia has become one of the strongest economies in Latin America, with the country having vastly improved the attractiveness of its business climate, spurring economic growth. As a result, Colombia´s trade levels and commercial activity have increased significantly, in addition to a sharp rise in foreign direct investment (FDI). Colombia´s economy benefits from diverse agricultural and natural resources and a growing middle class. However, navigating Colombia´s labour laws can be challenging and confusing, especially if you are unaccustomed to the local business environment. When starting a business in Colombia, something that all companies will face is the somewhat challenging task to hire staff in a lawful manner. If you are unfamiliar with the Colombian employment laws and regulations, the best option for you might be to work with PEO solution or Professional Employer Organization. What is PEO (Professional Employer Organization)? A PEO, often called an Employer or Record, is a company that provides tools to facilitate market entry for businesses who begin commercial operations in new countries. A PEO can save companies the trouble of having to form a local entity, engage staff during the hiring process and then have all the administrative headaches of managing payroll and ensuring 100% legal compliance in regards to employer requirements. PEOs are mainly used by small and medium-sized companies, and their services include things such as processing payroll, payment of benefits and ensuring employee tax obligations are met. A PEO solution allows companies to focus on more important matters such as business development. A PEOs uses a system of co-employment, which according to the National Association of PEOs is a contractual allocation and the sharing of employer (i.e the company) responsibilities between the PEO service provider and the client who is engaging the services. The contract signed between your business and the PEO distributes part of your legal responsibilities. This means that the PEO is in charge of payroll administration, tax filing, providing HR support services and the provision of benefits; meanwhile, your company still has responsibility for everyday operations and management of your company´s employees. 1. Foreign Workers: Foreign workers are subjected to the same rights and regulations as Colombian workers. Foreign workers must have a formal written contract with an employer. To be able to work in Colombia, foreigners must have a visa. Many companies work with a local group to facilitate visa processing. 2. Employment Contracts: There are four types of employment contracts in Colombia: Fixed term (can be up to 3 years and extendable indefinitely), short-term (can be no more than one month), undefined length (no defined length to this contract), and for a specific task (must be a formally agreed written contract detailing the specific task and length required). 3. Working Hours: The standard working week in Colombia is 48 hours. 4. Minimum Wage: The minimum wage for the year is decided at the end of the previous year, and it´s usually adjusted in accordance to the annual inflation rate. 5. Vacation Time: There is a minimum fixed term of 15 days’ vacation per year. 6. Social Security and Pensions: Employees contribute approx. 25% of the payments and the employers the remaining amount. Some companies opt to outsource their financial services to ensure the correct social security and pension payments to employees. 7. Healthcare: Employers must pay approx. 12.5% of employee´s salaries to the correspondent healthcare security fund; 8.5% is covered by the employer and 4% by the employee. 8. Maternity and Paternity Leave: The standard minimum maternity leave in the country is 12 weeks. Fathers may take up to 8 paid days for paternity leave as long as they have contributed more than 100 weeks of payment to the social system. *Keep in mind that some of these Colombian employment requirements change from time to time. If you are interested in doing business in Colombia but don´t want to have the burden of keeping up to date with the employment laws in the country, try partnering with a Professional Employer Organisation (PEO). Cutting Costs on Employees Benefits: PEOs group together all their co-employees to form a large group, meaning that the PEO can provide access to health coverage and rates similar to the ones of large corporations. Protection Against Risk: PEOs are professionals and experts in employment-related compliance. They can guide you when it comes to the paperwork you have to file and, in many cases, they can also save you the trouble of having to do it yourself. Time to Focus on you Company: Since the PEO will save you from the worry of all the administrative work and paperwork, you will have more time to focus on managing your staff. Money Savings: A PEO solution will reduce the costs involved in forming and maintaining a local legal entity. Limited Responsibility: The PEO will have the legal responsibility for your employees. Even though many foreign investors choose to establish and incorporate a company in Colombia, you might still want to do business in the country without going through the process of starting a new company. In that case, using a PEO solution is an attractive option since it gives you the opportunity to hire staff without having the administrative complications of forming and maintaining your own legal entity in the region. Some companies find a PEO solution a great way to initially enter the market, and once they see their business growing, they consider the establishment of their own company and office. Interested in Using a PEO Solution in Colombia? 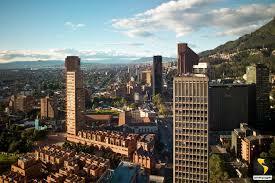 For many investors looking for a place to do business, Colombia is an ideal jurisdiction. 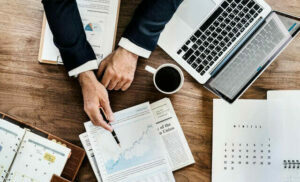 However, many companies are not interested in going through the somewhat complicated process of having to set up a new legal entity to begin operations. For this reason, a PEO may provide a solution for your commercial needs in Colombia. Reach out Biz Latin Hub for personalised information regarding our recruitment, hiring and PEO services in Colombia. Contact our CEO, Craig at [email protected] and see how we can support you to hire staff in Colombia. For more information on doing business in Latin America, watch the video below!